When I do my own taxes and the income taxes for friends, the software I use will alert me when I make a mistake and perhaps, enter an amount in the 401(k) deferral box on Form W-2 that is in excess of the annual limit for plan participants. The annual limit ($19,000 in 2019, not including catch-up) is per participant, no matter how many 401(k) plans they’re in. Yet, there are many individuals that somehow exceed the limit. 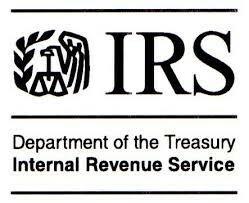 The problem is that the Internal Revenue Service (IRS) will be after them. The Treasury Department’s Inspector General for Tax Administrator (TIGTA) has a report that suggests that many 401(k) workplace retirement plan savers are pushing the limits, which is costing the U.S. Treasury. TIGTA’s recommendation: bring lax employers and errant taxpayers into compliance. The IRS’ response: It will beef up employer education and conduct targeted audits for taxpayers who appear to have excess 401(k) deferrals, especially those with multiple 401(k)s.
The TIGTA reports that many 401(k) plans don’t have controls in place to prevent employees from exceeding the annual limits. The problem usually arises when taxpayers get tripped up when contributing to multiple 401(k) plans. Based on a sample of 2014 tax returns, TIGTA estimates that 1,400 taxpayers appeared to have gone over the limits when contributing to one 401(k) and would owe additional taxes of about $8 million if found to be noncompliant. An estimated 13,200 taxpayers who contributed to multiple 401(k)s potentially exceeded the limits and would owe additional taxes of about $33 million. So if you’re a plan sponsor or a plan participant, make sure you don’t exceed the 402(g) limits. Otherwise, the IRS may find you and penalize you.